I have an abiding interest in teachers’ engagement with policy makers in shaping the education policies that educators enact in classrooms. I have had the privilege to work at the state and national level with leaders like Senator John Kerry and Governor Deval Patrick to improve the quality of education in Massachusetts and with Secretary of Education Margaret Spellings to impact education policy at the national level. In 2008 I served on Governor Patrick’s Leadership Council for the Readiness Project, a blue-ribbon panel charged with drafting the next round of education reform in the state. I also served on the Governor’s Finance Commission. While I am proud of what I have been able to achieve through these experiences, my goal is to see such opportunities for involvement in education policy become the norm, not the exception, and offered to many more teachers with a passion for education. I believe in taking my interest in policy into my personal life by giving back to my community. I served as an elected member of the school board in Northampton from 2005 – 2013 and chaired the Curriculum Subcommittee. This experience allowed me to exercise my teacher voice in decisions that affect a whole school system and gave me an appreciation for the complexities with which our administrators must contend. When teachers become more engaged in policy and other leadership roles, they lend their expertise to ensure decisions that affect our schools are in the best interest of our students. 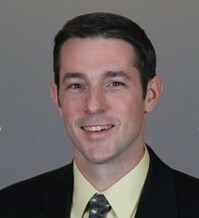 Mike Flynn is a Director of Mathematics Leadership Programs (formerly SummerMath for Teachers) at Mount Holyoke College. MLP conducts a set of coordinated professional development seminars examining the learning and teaching of mathemat­ics for both teachers and math coaches. MLP offers summer institutes, online courses, a Masters of Arts in Mathematics Teaching program, and provides math consulting and customized professional development to school systems. In addition to directing MLP, Mike develops and teaches courses in mathematics for both in-service and pre-service educators. Prior to this work Mike taught second grade at the William E. Norris Elementary School in Southampton for 14 years. He was the 2008 Massachusetts Teacher of the Year, a recipient of a 2009 National Education Association/Horace Mann Award for Teaching Excellence, and the 2010 recipient of the Presidential Award for Excellence in Mathematics Teaching. He is a published children’s book author and is working on his first book for teachers on the Standards for Mathematical Practice.